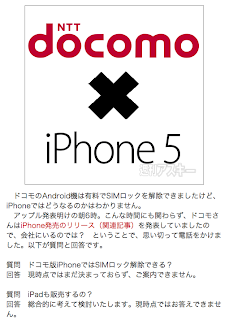 According to a shukan Ascii post, when asked via a phone interview if the Docomo iPhone can be unlocked just as any Docomo Android phone, a representative stated that "it is undecided at this point". 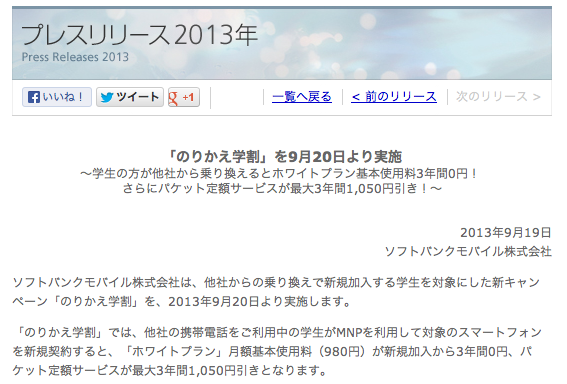 Yomiuri: It has been said that the reason for you to unlock SIMs is to bring Softbank's popular iPhone to Docomo. Kouji Furukawa: I've heard that too, but the first priority is customer convenience and choice. The reason is to follow the MIC's clearly written guidelines. While the iPhone is most certainly selling extremely well now, I don't know if it still will be two to three years later. If we were to release a killer handset that everyone wanted, we would under no circumstances sell it locked to our network. Well, if Docomo does not allow their iPhone to be unlocked, then it proves what we all new all along. That, contrary to what they maintained publicly, their entire push for SIM unlocking was exclusively about getting the iPhone. 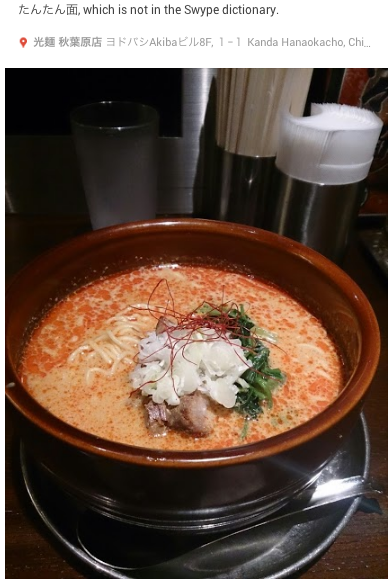 Ishikawa Tsutsumu has indicated on twitter that it may indeed be locked. 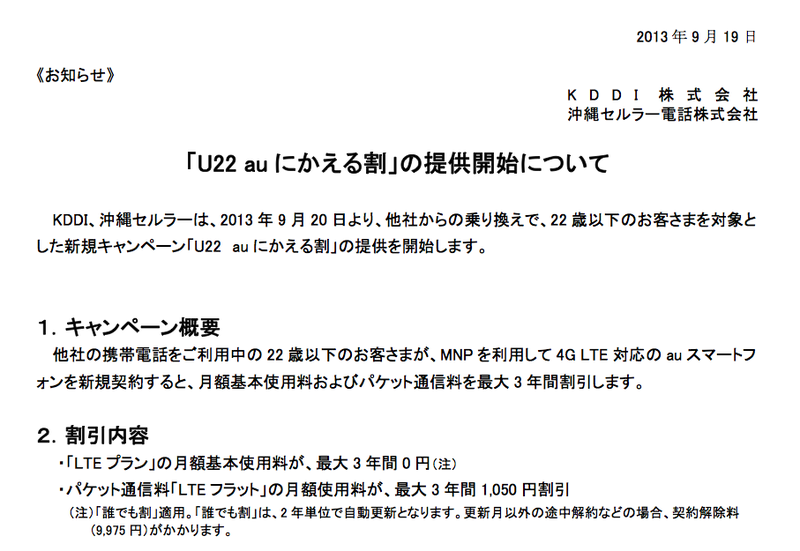 Oh, and Docomo also isn't saying whether or not they'll carry the iPad. SIM unlocking (as it's referred to in Japan) started several years ago, following Softbank Mobile's successful introduction of the iPhone 3G. NTT Docomo found itself on the defensive, for the first time ever, and you do have to sympathize just a little with the the arrogant bastards. Survey upon survey told them exactly what people wanted in a phone: mobile payments, water resistance, infrared, solar panels, one seg, pedometers, labyrinthine mazes of menu options, and an eyebrow plucker. The iPhone had none and this, Apple had no experience making phones, and Macs held a dismal share of the PC market in Japan. And yet the iPhone quickly achieved unprecedented popularity in Japan, prompting Docomo to attempt to sidestep Apple by successfully pushing for the introduction of SIM unlocking guidelines. "Guidelines" as set forth by the the Ministry of Infrastructure and Communications are just that - they are voluntary and not "requirements." However, in practice, telecommunications entities followed them. Up until now. Softbank simply refused to comply with the unlocking guidelines, even following contract completion (and even as they were buying back phones, unlocking them, and reselling them in emerging markets). And so we fell into a stalemate. 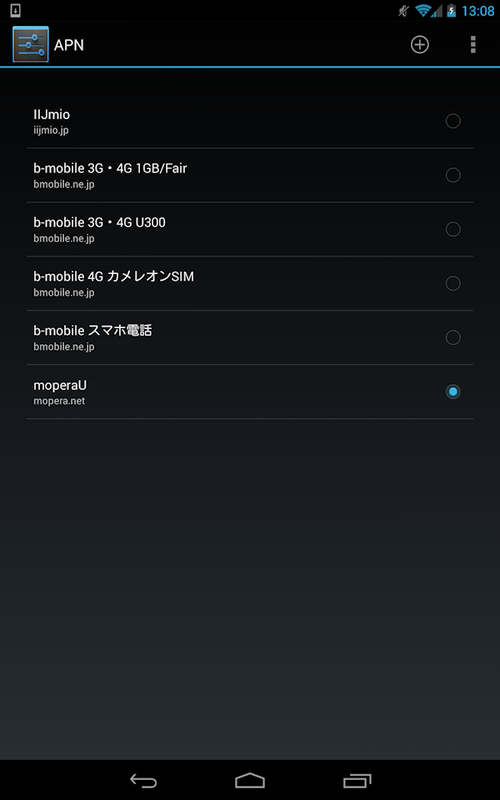 KDDI and E-access (Emobile) are, for various reasons, not relevant to the SIM lock debate; it currently revolves around Docomo and Softbank. 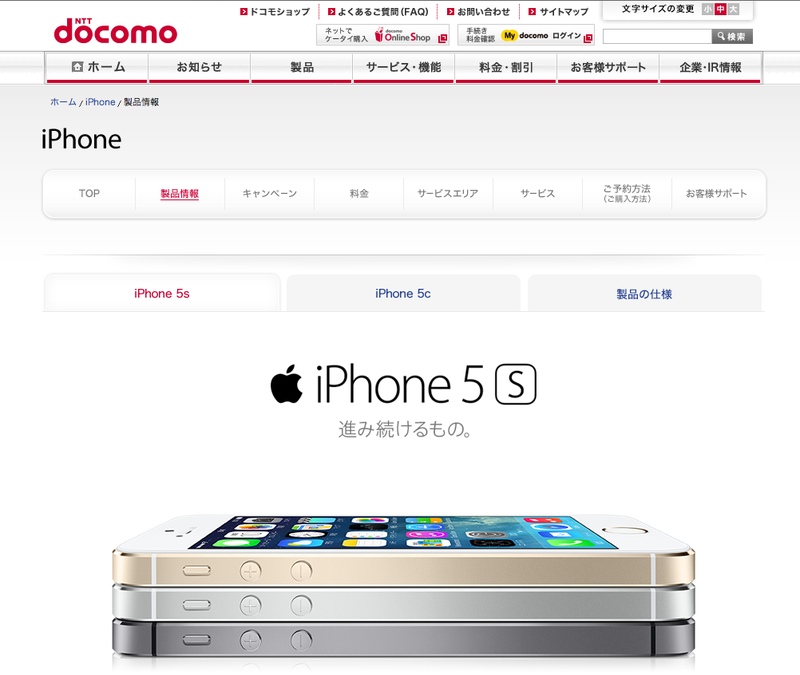 Softbank holds the coveted iPhone and no offering from Docomo has proved popular enough to make unlocking an issue to enough consumers. Here's why I think this will change if Docomo sells the iPhone. 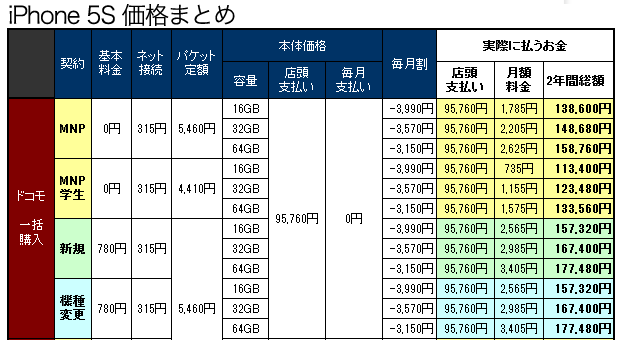 Softbank phones are not compatible with the budget data and voice plans offered by MVNOs because Docomo provides the infrastructure. 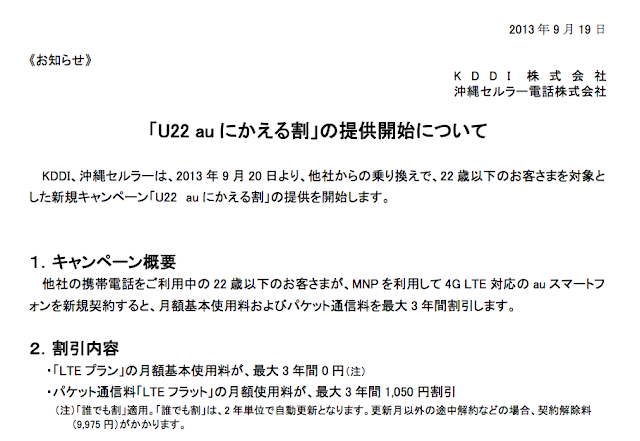 This means that only unlocked phones (or Docomo phones) are compatible. Several years ago, this would not have been an issue, but the MVNO space, led by Japan Communications Inc, has seen substantial growth. Many household names such as OCN, Panasonic, and Rakuten have entered the fray, lending legitimacy, in the eyes of the average (non-techy) consumer, to the notion of mobile phone service provided by an entity that is not an actual mobile phone carrier. 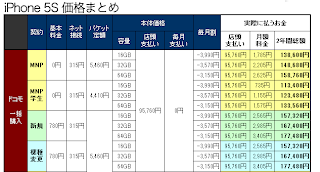 This results in a higher intrinsic value for a device that works with Docomo versus one that does not (all other things being equal). 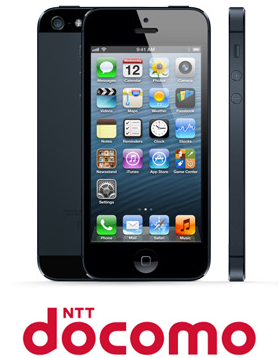 If NTT Docomo does indeed carry the iPhone, and if they continue with their tradition of unlocking all their devices, then this would create a large feature disparity between Japanese iPhone carriers. Any discrepancy in value is amplified by the fact that, once you wade through all the fuzzy math to arrive at the out-of-pocket cost of hardware and service, the total cost is almost always the same for similar devices across competing networks. 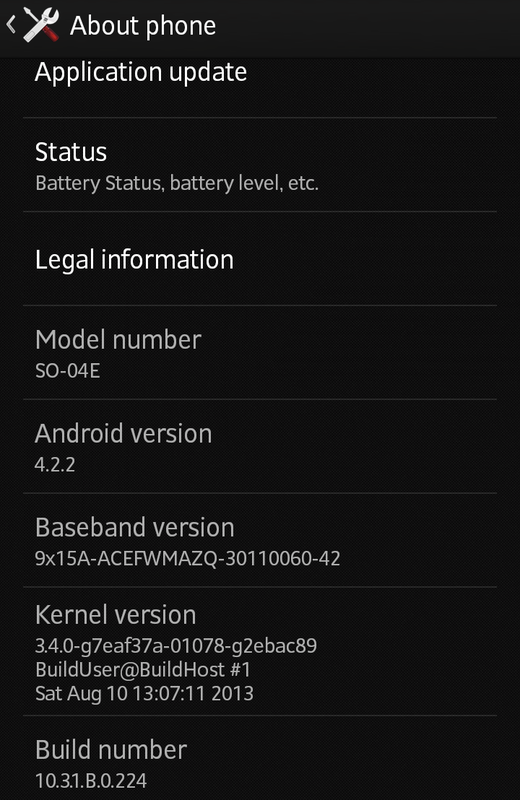 Unlocking phones is a slippery slope for carriers. I believe that NTT Docomo will, after making such a stink about unlocking and vowing to unlock all their phones, have no choice but to unlock any iPhone they may sell, just as they currently do for all Android device. 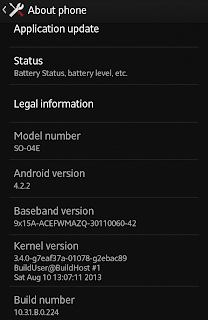 If this creates a strong enough feature disparity, Softbank will be forced to follow, and they would lose any justification for keeping their Android devices locked. 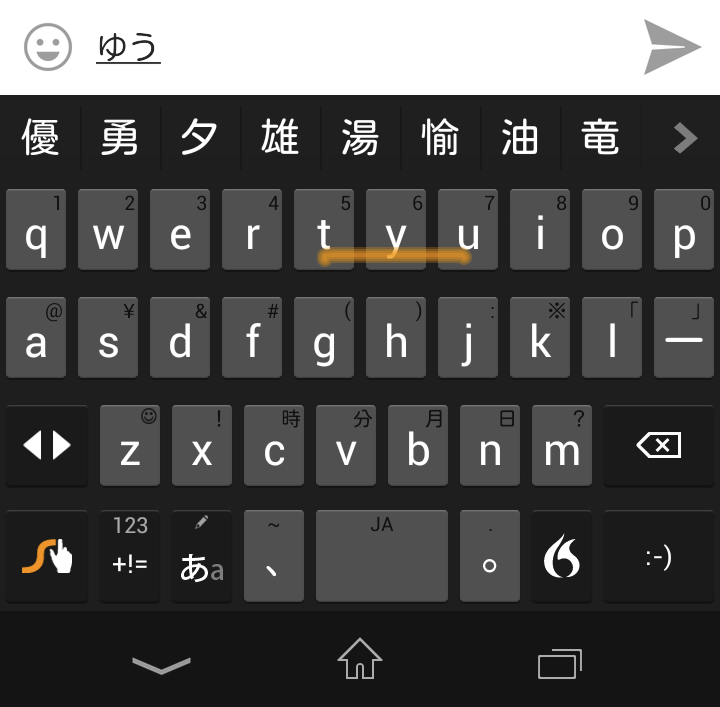 I was at first thrilled to find that Swype supported Japanese input, but as several commenters pointed out, it is indeed the exact opposite of using a wnn (Japanese IME) keyboard as your primary input. Japanese keyboards are great for Japanese, but support for English is lackluster. If you need to enter more than about one word, it's usually faster to switch keyboards entirely. I have a friend who I thought were always drunk, until I realized he exclusively types English on the Google Japanese Keyboard. 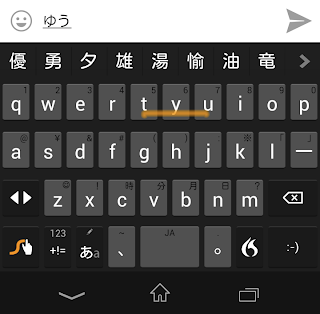 I'd say that Swyping to type Japanese on the current version (1.5.14) of the Swype keyboard is a decent option for about 40% of what I type. 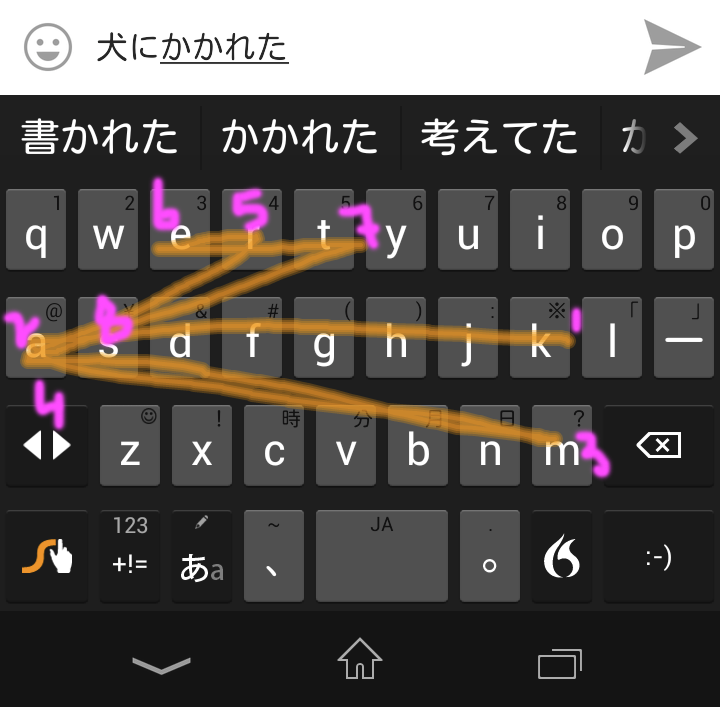 I can manage to enter about 80-90% of words by typing them on the Swype keyboard. For the rest, you have to fallback to typing individual characters using either the on or kun readings, or typing common words that contain the desired kanji, then deleting the unneeded characters. 1. Greatly expand the dictionary. Ask Apple, you can't build a map database through crowdsourcing, much less an entire language. You have to do the hard work or license the product of someone who did. 2. Better swype prediction. If hunting and pecking around the keyboard brings up the correct word, then the same should work when swyping across the keyboard, except that it doesn't. Any sort of semi-complex verb conjugation will fail. Try swyping 犬に噛まれた (inu ni kamareta; bitten by a dog). It's not possible. The order of swipes clearly resolves to kamareta, which is not an option. Swype fails to understand the conjugation and suggests a word that isn't even close (misses the ma for a ka. If you peck this out on the keyboard, you can enter it with no problem. 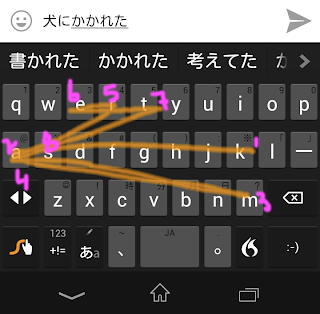 This behavior is consistent; Swype fails so poorly to understand the conjugation, it suggests words that aren't even words (飲もいや？ WTF does that mean? 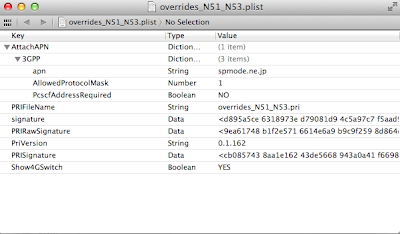 ), like in the below example. 4. Add swype support for kunrei-shiki romanization (once you fix number 2 above). 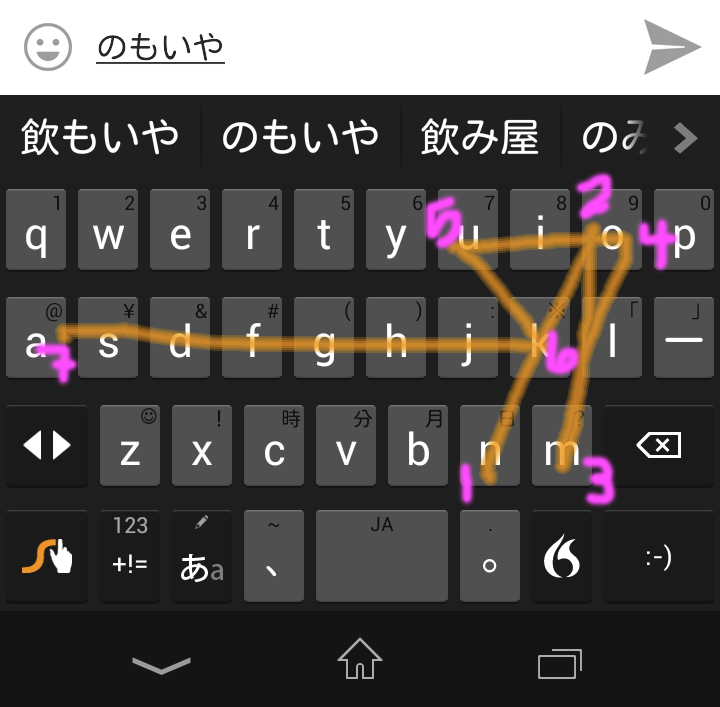 I don't type Japanese by phonetically spelling words out using the Hepburn system (e.g., Tsuyoshi). It's faster to just type tuyosi. 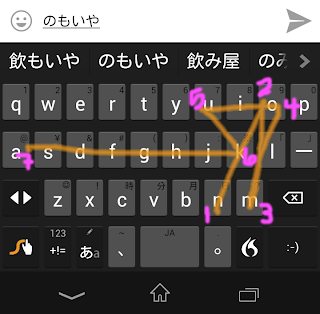 Typing on the Swype keyboard supports this. Swiping does not. "Tsu" requires you to swipe your finger all over the keyboard. "Tu" does not. So that's call I an think of. Do you have any suggestions for improvement?